Aloe vera (hereinafter we will call Aloe) is an herbal medicinal plant that has been popular and well-known safe since 6,000 years ago in various cultures. Ancient Egyptians have shown its use in stone carvings which is called the "plant of mortality". The pharaohs got this plant as a funeral gift. However, at present the use of this plant is quite common. Many people plant these plants in their homes and use thick and clear gels from them for treatment. The application is for several health problems such as acne, pimples, and sunburn. 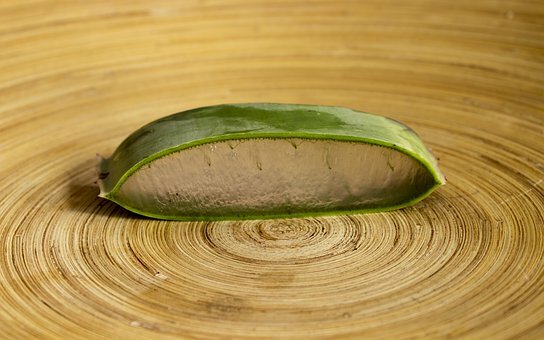 Aloe vera has evidence that it can increase collagen levels in wounds. As we know collagen is a substance that helps the wound healing process. The presence of sufficient collagen will accelerate the process of wound healing and the return of tissue strength. Is Aloe Vera good for sunburn? Wound pads containing aloe will provide a protective effect against ultraviolet radiation and even gamma in wounds. The effect will be seen if applied every day for two weeks. Is aloe vera anti inflammatory? Aloe can reduce the body's prostaglandin production. Does aloe vera stop itching? Aloe will inhibit histamine and leukotriene release from mast cells. Its presence will prevent allergies and inflammation. Does aloe vera make you poop? Aloe contains organic compounds known as anthraquinones. This compound can increase the water content in the intestine and increase intestinal peristalsis. When used internally, aloe will facilitate the digestive process. Is aloe vera an antiviral? Anthraquinones are also capable of deactivating viruses such as influenza, herpes simplex, and varicella zoster. Aloe contains mucopolysaccharides. This substance can help maintain skin moisture, tighten enlarged pores, and soften hardened skin cells. Aloe can produce salicylic acid, cinnamonic acid, lupeol, urea nitrogen, phenol, and sulfur. These substances can inhibit the growth of fungi, bacteria, and viruses. Well, that was the benefit of Aloe Vera. You can benefit from this plant by buying a commercial gel form or planting it yourself at home. This plant is easy to grow and is a fairly inexpensive treatment facility in your home. 0 Response to "Aloe Vera for Skin Care and Health Benefits"